What does a huge blue whale eat? Tons (literally) of tiny euphasiid krill, such as Thysanoessa spinifera. 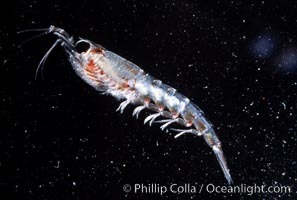 Krill, Baja California (Pacific Ocean).